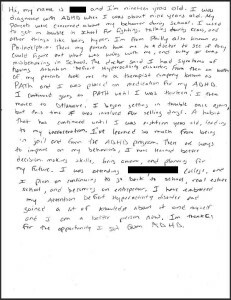 We asked participants of the ADHD Corrections Project to share their stories of how ADHD has impacted their lives, and how this might relate to their experience with the criminal justice system. The resulting journal entries, written towards the close of their eight-week group coaching session, were remarkably thoughtful, hopeful, and compelling. While each inmate’s story is unique, we can also recognize in them some of the unfortunate experiences that are all too common among those with ADHD. 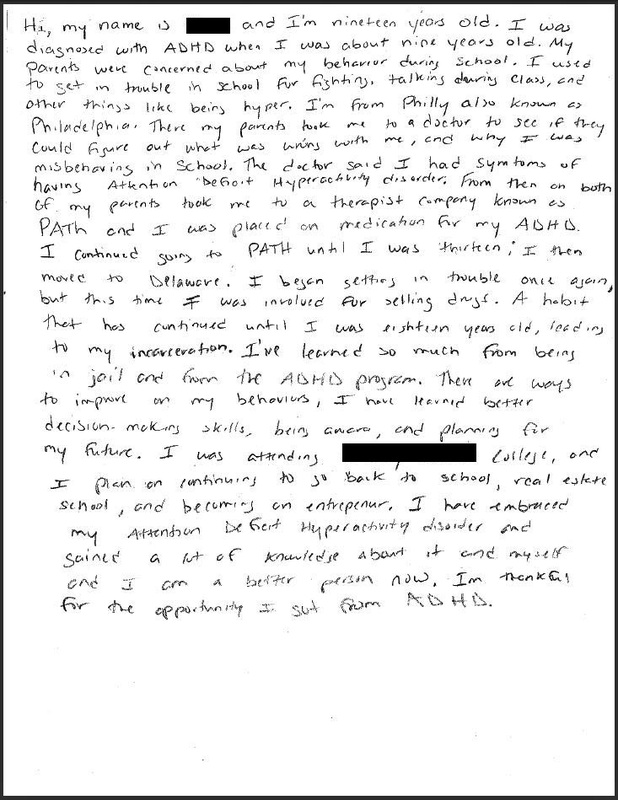 With the permission of our anonymous authors, we’d now like to share with you these powerful first-person perspectives on the relationship between ADHD and the criminal justice system. ADHD Justice Support Center is proudly powered by WordPress and BuddyPress. Just another WordPress Theme by Themekraft.